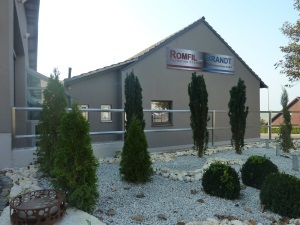 Romfil Filtration Systems ACF have always been well known for their performance, efficiency and easy maintenance. With all new Aquacross technology ACF now it is possible to be even more energy-saving, quiter and more environmentally friendly. Because of this you can lower your production costs. Romfil Filtration Systems ACF are equipped with the all new Romfil Tycoon module as standard. These modules are temperature resistant up to 50°C. For the fibres we use our proved and tested polyethersulfon. We are looking forward to help you with your concerns and questions. We would be happy to give you the opportunity to test our systems directly in your company to assure yourself of the advantages and the performance of our systems.